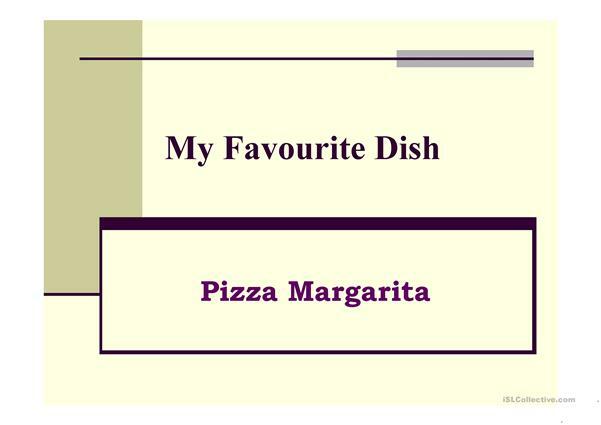 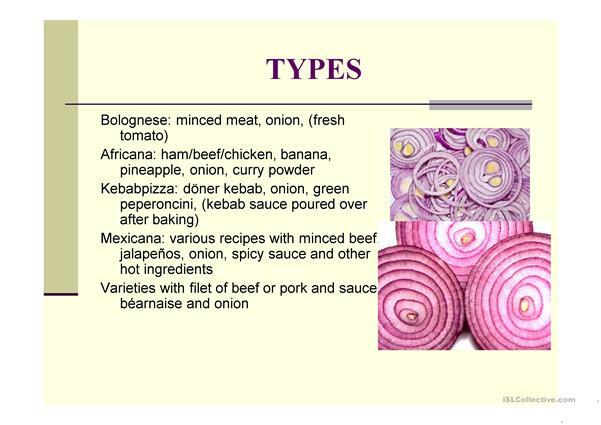 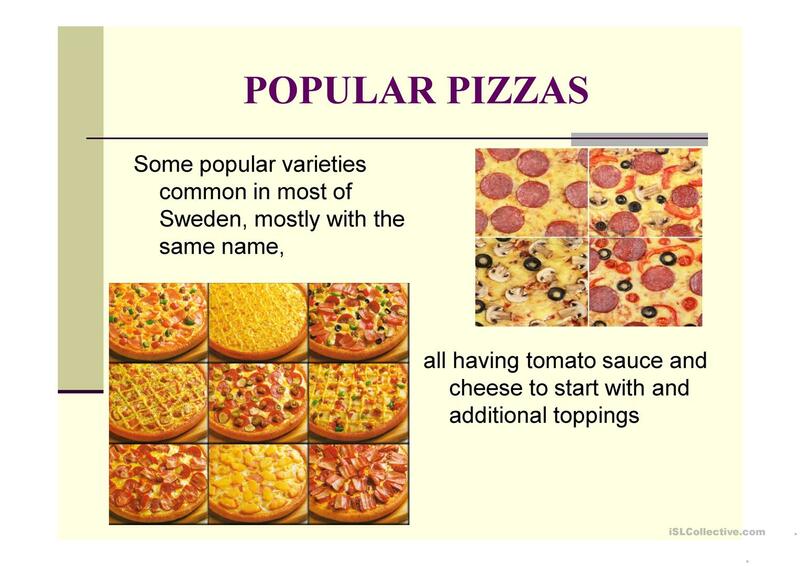 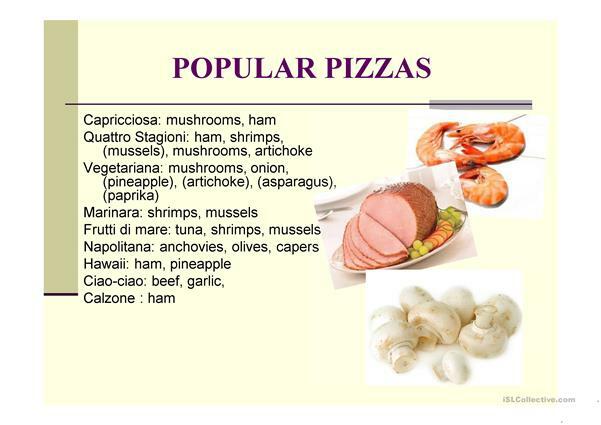 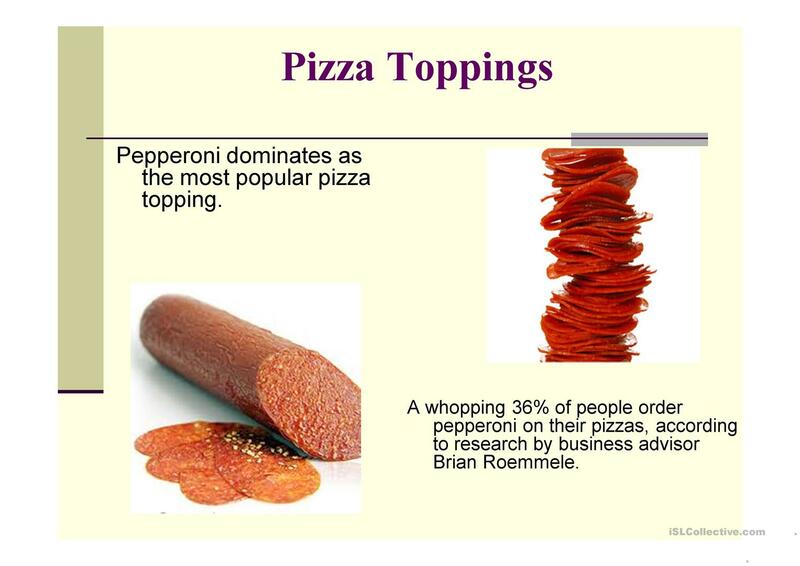 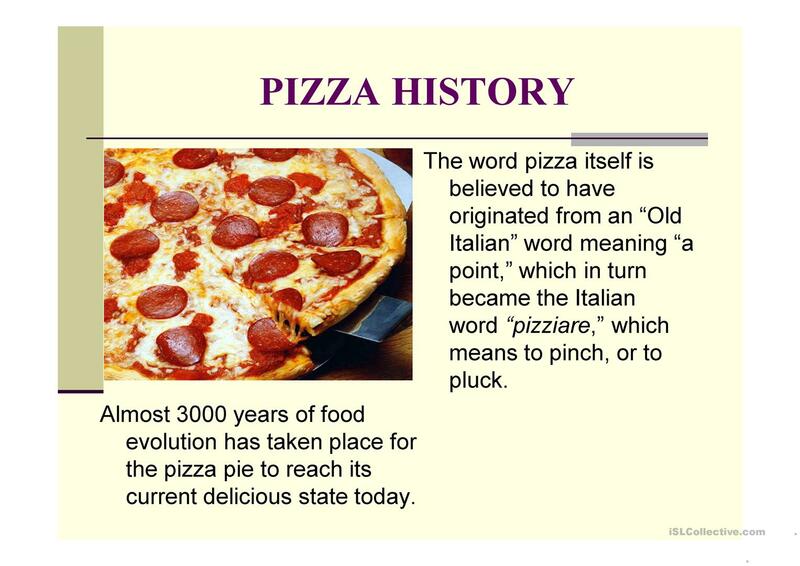 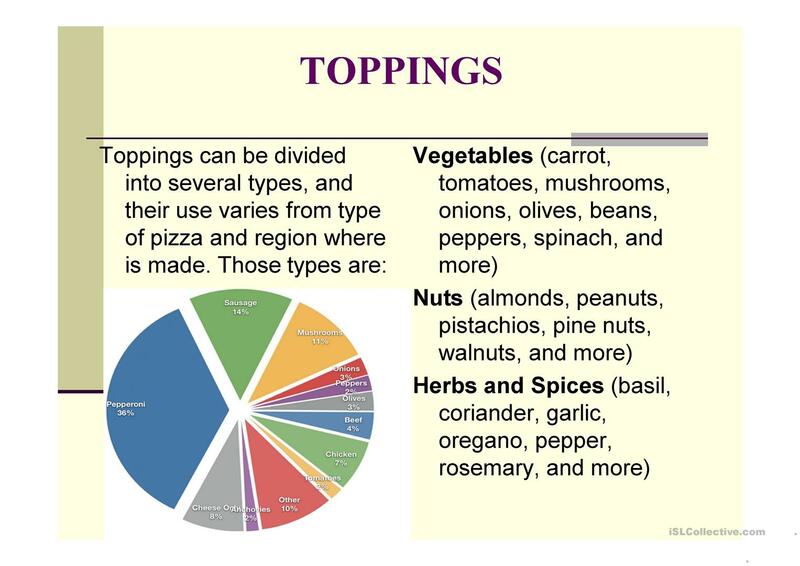 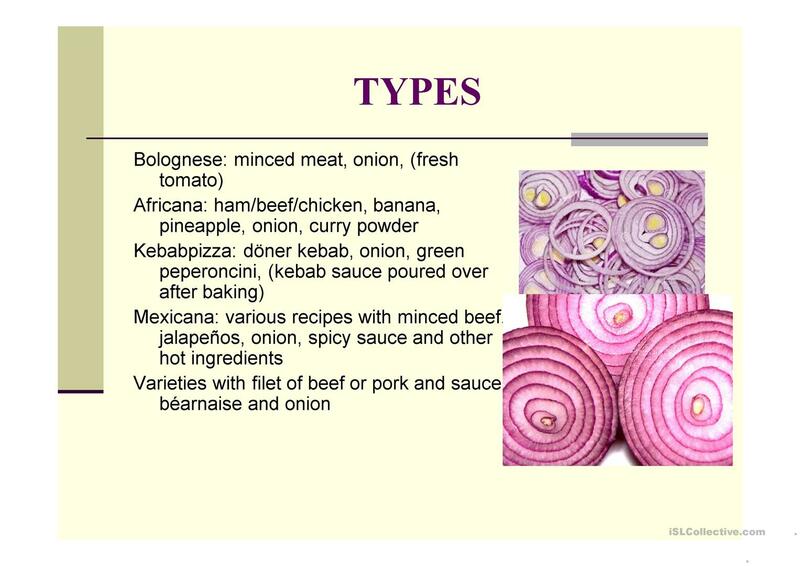 This ppt can be a good example to share the information about creating presentations with your students.In it there are some details about pizza history and its toppings. 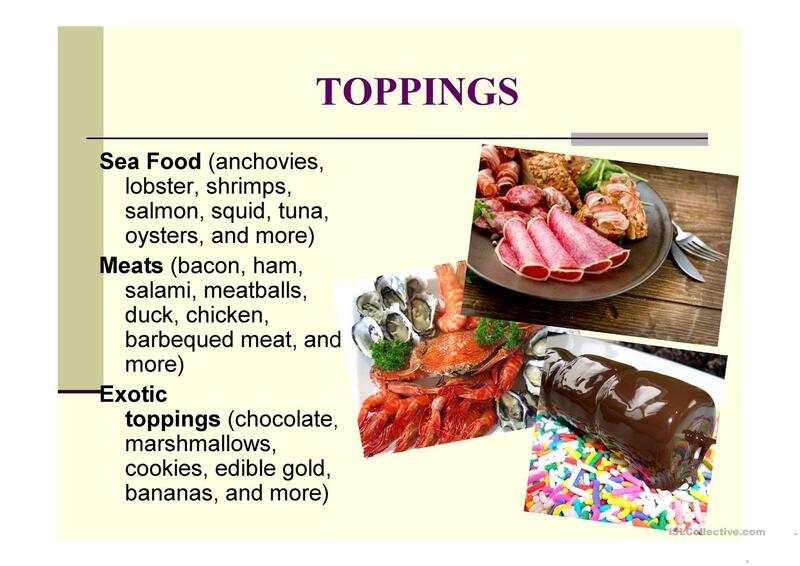 The present printable, downloadable handout is best suited for high school students at Intermediate (B1) level. 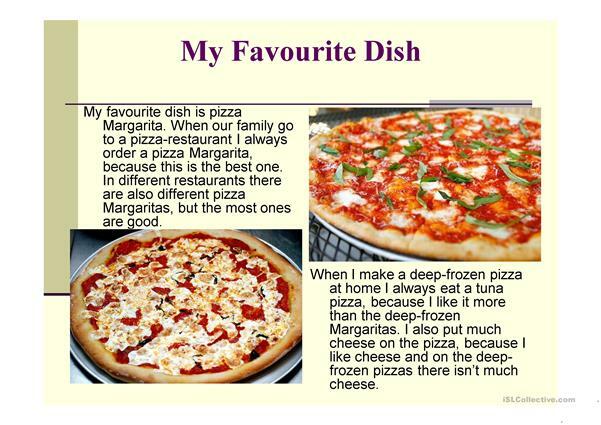 It was designed for enhancing your learners' Speaking skills. 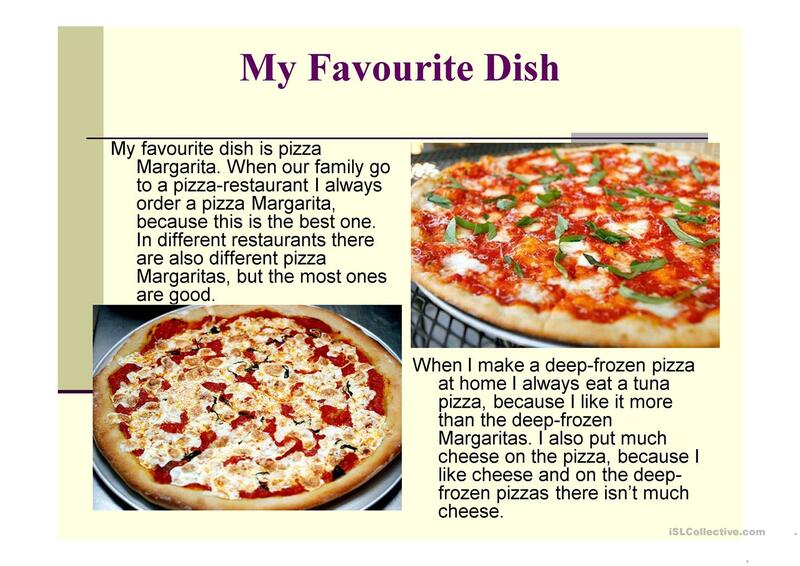 It focuses on the topic and words of Food.